Health Careers Futures' (HCF) mission is to align the supply of and demand for workers in the regional healthcare industry by improving attraction, recruitment, and retention of quality healthcare workers; and by instituting research of relevant healthcare workforce issues. 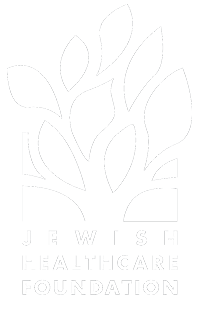 Health Careers Futures, along with the Pittsburgh Regional Health Initiative (PRHI), are supporting organizations of the Jewish Healthcare Foundation (JHF). Together, we develop and manage programs, research, training, and grantmaking to perfect patient care. JHF is also the fiscal agent for State HIV/AIDS funding in Pennsylvania. We are funded by public and private sources, as well as the JHF endowment. We act as a neutral voice focused on Perfecting Patient CareSM (PPC) for patients, workers and healthcare systems. A more thorough review of JHF, PRHI, and HCF programs is available through the WINDOW newsletter, our magazine ROOTS, our periodical Branches, Executive Summaries, and Videos.